As my own introduction to the realm of science fiction, this reference-packed, video game-driven adventure about an underdog overcoming all obstacles for the good of the world that he lives in was an incredible journey to embark upon - and since I had this story playing in my ears instead of before my eyes as I went about my day, it became an even more immersive experience. Written by Ernest Cline and narrated by the great Wil Wheaton, these two combined help to create an unforgettable audio experience. This book is set in the USA, 2044. The world is enraptured with the MMORPG-turned-virtual reality life experience called the OASIS. People work, go to school, shop and seek out various forms of entertainment through the OASIS, and it leads to the world at large being utterly neglected, which is why the world is in a dystopian state by the time the story begins. The co-creator of the OASIS, James Halliday, passed away from an illness 5 years ago. After his death, a video was released to every OASIS account to explain that the 80's-loving Halliday left behind an "Easter Egg" that he hid somewhere in the OASIS that is only accessible by locating 3 keys - copper, jade and crystal - and unlocking the three gates associated with each key. The journey to find each key and unlock each gate accessible only by creating the challenges and puzzles programmed by Halliday. The person who finds this Easter Egg wins the entirety of Halliday's vast fortune - so naturally, the world was especially changed after that day. The main protagonist of the book, announced early in the novel, is the first person in history to acquire the copper key, 18 year-old Wade Watts who resides in a trailer park on the outskirts of Oklahoma City. Because Halliday was fascinated with 1980's pop culture, the decade where he was a teenager, the popularity of 80's music, sitcoms, movies and especially video games has grown massively popular again, and Wade is something of a savant on 80's references. He hangs out with his best friend H in the Oasis where they read comics and play video games in H's basement-styled chatroom. When the answer to Halliday's riddle about the copper key suddenly dawns on Wade one day as he's sitting in his Oasis-simulated classroom, he's launched into an online quest that involves meeting the avatar of the girl of his dreams, Artemus, as well as the head of IOI, Nolan Sorrento, whose plans for the Oasis if his team discovers the easter egg first would be the end of all that is good about the Oasis, as well as the world at large. 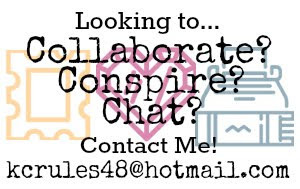 Any 80's pop culture buffs would have an absolute heyday with this story. These elements of 80's culture are not only made as off-hand references but are also interactive and immersive parts of the Oasis that Wade must face on his quest to obtain the Easter egg. It's my first real experience with science fiction, and while there are parts of the book that are heavy with exposition, and it was jarring at first, I've realized that this is one of the many conventions of the sci-fi drama and have quickly come to embrace it along with other known conventions. "I know it's really hard when you're in school and you're surrounded by the same 400 people a day, that pick on you and make you feel bad about yourself . . . But there's 50,000 people here this weekend who went through the exact same thing, and we're all doing really well." 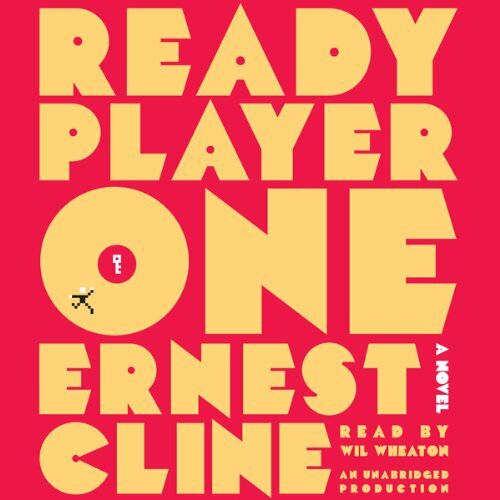 I would recommend Ernest Cline's Ready Player One in any of its formats, but the audio book provides a unique experience you won't be able to have with the book alone. To close, I'll share a tweet that came from my experience with this audio book, which was probably the funniest thing to hear on a bus to Barrie ever, and it was so hard not to laugh out loud. I looooove the Ready Player One audiobook! 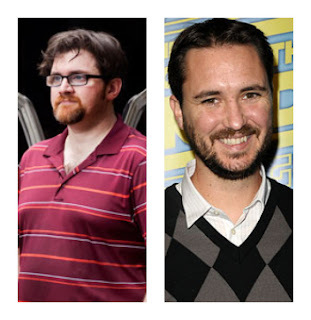 Wil Wheaton does such a great job! The book itself is AMAZING, and Wil brings it to life so well!